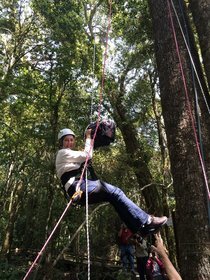 “Canopy Meg” Lowman is a world-class scientist – and climber – who has spent years in the canopy of tropical forests, discovering new species and how to adapt to life in remote parts of the world. 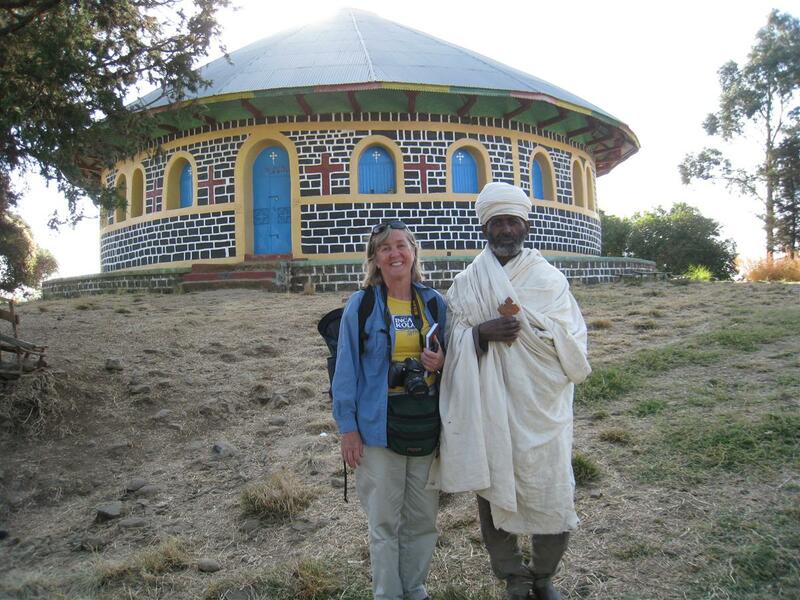 She has lived in Samoa, West Africa, Peru, Panama, India, Biosphere 2, Ethiopia and other places. 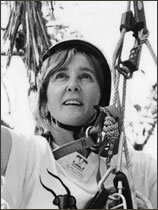 Along the way she’s invented canopy climbing tools, written multiple books, raised two kids, and shared many lessons from her knowledge trove. Watch a terrific 26-minute skype video on her home page. Dr. Margaret Lowman is Director of Global Initiatives, Lindsay Chair of Botany & Senior Scientist in Plant Conservation at the California Academy of Sciences. As a little girl, she didn’t think that women could be scientists, but her love of flowers took her from girlish flower-pressing in her rural New York community through a Ph.D. and a life in the treetops. Today, she encourages women and girls to embrace a life in science. Check out her KQED radio interview made for International Women’s Day. 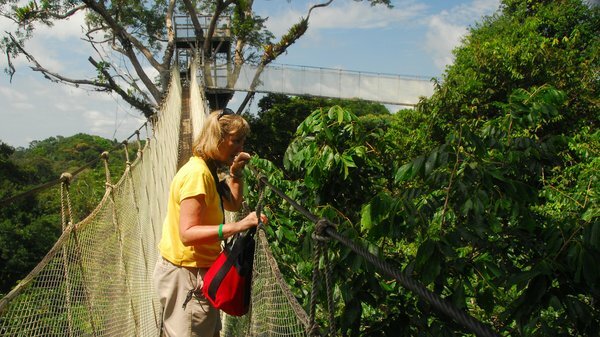 Some people call this the High Frontier – the place where ropes, cranes, walkways, hot air balloons, and towers take fearless biologists to new heights to explore the astonishing biodiversity of the canopy and study its ecology. For those of us who have walked the forest floor (as I have in Panama and Venezuela), there are limits to what we can see and experience – leaf-cutter ants, a bevy of butterflies, very creepy spiders, anacondas in the waterways. But it is in the canopy where bromeliads flourish, birds live and take flight, plants grow used for traditional medicines, howler monkeys let loose with their cacophonous cries. Lowman says that only about 10% of species in tropical forests have been identified; there’s much more surveying to be done. Watch Meg’s work take her aloft in the Amazon in this video. 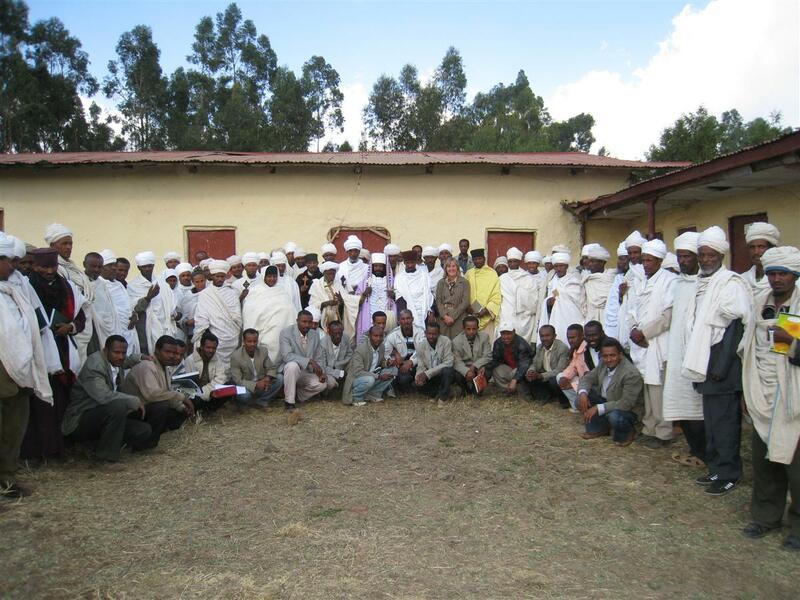 In the field, Meg – also nicknamed the “real life Lorax”—is busy in Ethiopia with a multi-year National Science Foundation-funded project to save the meager 5% of forests left in that country after deforestation. She’s working with the Coptic (Christian) Church to literally wall in the local forests in church yards by making stone walls from field stones. 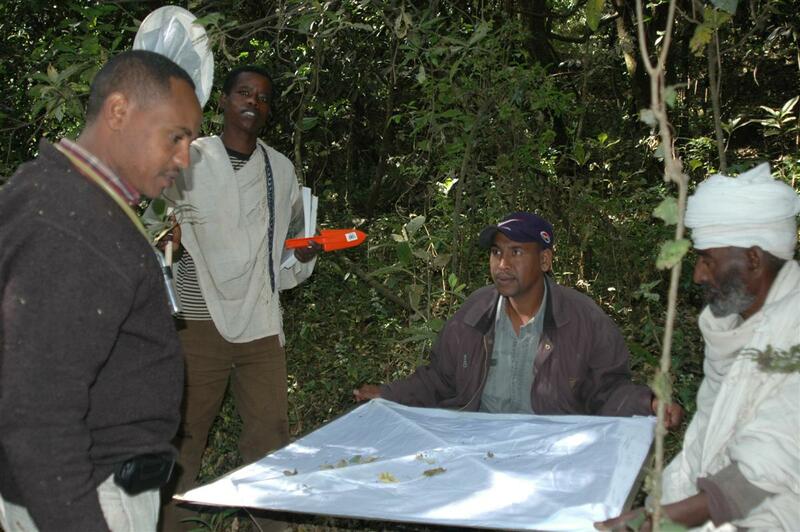 No one has ever surveyed the forests of Ethiopia so she has plenty of survey work underway with local assistance. The project has also resulted in her newest book—co-authored with Dr. Worku Malat— Beza, who saved the forest of Ethiopia, one church at a time, a fictional account of an Ethiopian girl who is saving the forest. 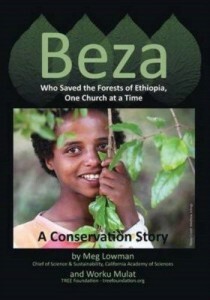 If you decide to buy Beza, your purchase will pay for one free copy distributed to children in their Amharic language. Dr. Margaret Lowman is one of My Earth Heroes for 2017. Come back to read about others in Green News Update.